Any time Of your Convenience From now. NB Those who successfully completed their respective courses last year should come for their documents with all the necessary payments during the same time as stated in the timetable. You need to come with your Identity card and also remember that you will not be allowed to sit for exams unless you have completed all your tuition fees for the subsequent semester. Remember our standardize rate have not changed, US Dollar = $200, Kenya Shillings = 20,000 Ksh, Uganda Shillings = 600,000 Ugx and South Sudanese Pounds = 40,000 SSP or any other currency subjected to the equivalence of the above value by API administration. Remember we also offer short term certificate programs as on our website. 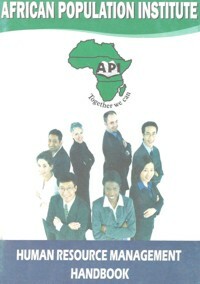 You can download the respective full timetables from http://www.africapopulation.net/ap_li.php and mark it on your calendar, make it a point to present yourself for examination because failure to do that will mean an automatic retake / carrying the papers forward until next year which also have a cost implication. Please inform your fellow course mates about this important communication so that no one misses this opportunity. Also inform your friends who wish to join the institute, that there will be admissions for the new applicants during the same period. Those who finished their course earlier are required to come and pick their documents with payments. NB. After the examinations you will be oriented for the subsequent semester by receiving the module/ manual /notice together with face to face lectures. 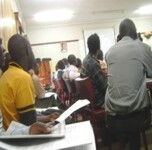 You will also receive your assignments and respective course works. So do not miss to be at your centre during the stipulated period. We wish you Success in your examinations!!!!! !